Water disinfection systems: This category includes systems and methods like lamps, rays and tablets that disinfect your water. The chlorine dioxide tablet effectively disinfects tanks, water pipes, scents, dishwashers, air conditioners and surfaces. Kills viruses and bacteria in the water. It is common knowledge that sun rays can be used for sterilization. In fact, from all the rays of the sun, only the ultraviolet have this ability. Kills viruses and bacteria in the water. Only the ultraviolet rays have this ability. It kills the DNA of viruses and bacteria by preventing their reproduction. Ultra violet rays kill bacteria and microbes making your water safe. 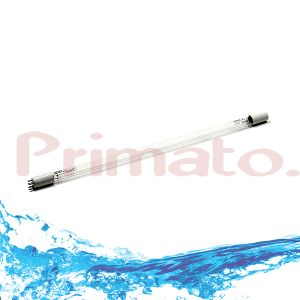 Ultra Violet lamp Primato UV 10000 kills all microbes and bacteria from your water.